The Push Pack is a prepacked hospital bag. Labor Affirmation Cards: Positive messages for the mom to be. Special: Save 25% on our Labor Affirmation Cards with coupon code MOMPACT25 Valid on Small-Batchstudio.com only. 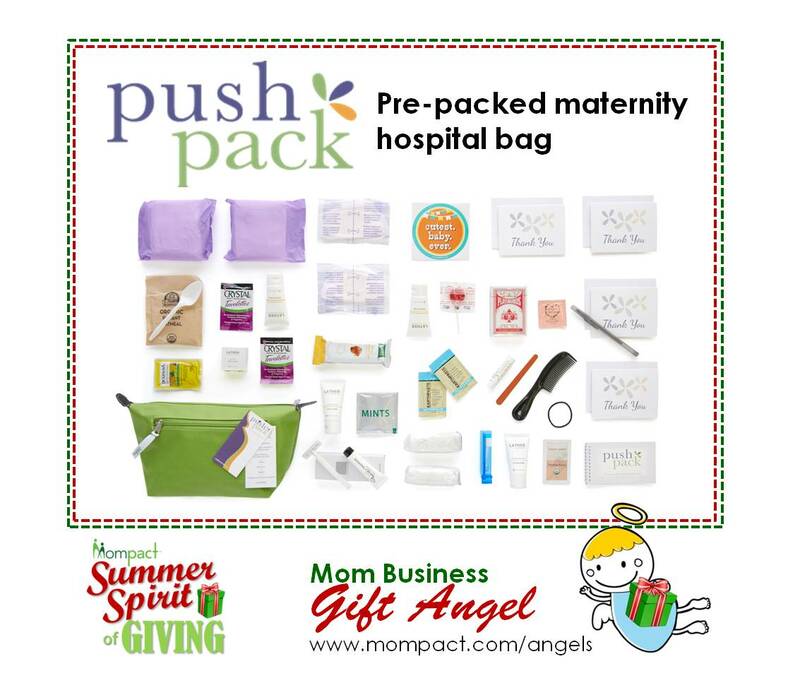 The Push Pack is a prepacked hospital bag filled with all of the little things moms want and need for their hospital stay. Natural and organic items all selected by moms. It comes in a lined green fabric zippered bag that can be used for years to come! The Labor Affirmation Cards are a set of 12 printed positive messages for the mom to be. Reminding her that she is strong and can get through this labor! Three blank cards are there for her or friends to write their own messages for mom. Make packing your hospital bag a breeze! Baby shower gift that gives peace of mind.